While the older vinyl tiles requiring special glue are still available and used in many applications, the self-stick style or peel-and-stick tiles are becoming more and more popular due to the ease of installing them. If proper preparation is made prior to use of the self-stick style of tile, there is no reason that this flooring cannot last a good many years. 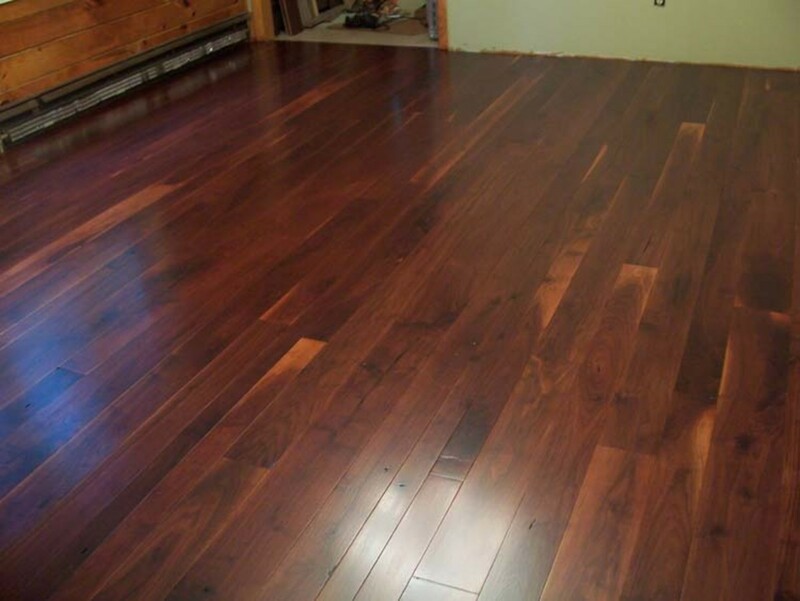 A properly prepared and laid out floor is not only beautiful and a compliment to the homeowner, but it is also a very good way to save considerable money in installation costs. The self-adhesive vinyl tiles manufactured today have extremely good adhesion properties, and if laid correctly they can be very difficult to remove. 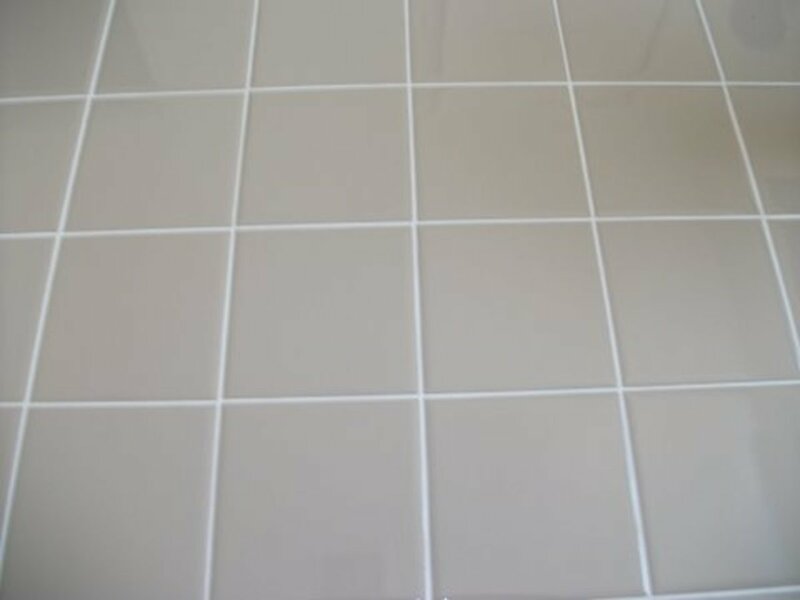 Removal of one tile can require considerable time in chipping out a damaged tile in small pieces—modern adhesives are that good! Proper preparation cannot be emphasized enough—it is usually the key to a lasting and well-laid floor. It is absolutely imperative that the old floor be smooth and clean. Older vinyl must be removed completely as even very small pieces left stuck to the subfloor will show up in the new flooring. Any protruding nails, screws or small chips of wood that stick up must be removed. Glue from prior floors must be removed or sanded down. Long handled scrapers are available for the task of removing old vinyl flooring, and are not expensive. Concrete floors must be treated with the same care. Protruding bits of concrete from poor finishing must be chipped off and small holes filled with grout. If the concrete was "broomed," with small grooves in the surface (a converted deck perhaps), it would be wiser to use the type of tile requiring glue as the glue will take up very small indentations in the subfloor. Once the heavy work of smoothing the floor is finished, the surface needs prepared. A new covering of ¼" plywood is ideal, though seldom practical. Kitchens often prohibit adding height to the floor as appliances such as dishwashers may no longer be able to fit under countertops. If possible, though, and within the budget, additional plywood is recommended. Shoe molding or baseboards should be carefully removed and saved for later re-installation. The new tile needs to go under at least the shoe molding; it is nearly impossible to cut the tile exactly up to such molding as few walls are absolutely straight, and any gaps will be easily visible. Better to remove and re-install such molding, even to the point of buying new shoe molding if none is present. It is not expensive and can add considerably to the appearance. Clean the floor thoroughly. Sweep, then sweep again. Mop concrete floors well, and a slightly damp mop on wood floors is a good idea. Let dry completely and vacuum thoroughly. The goal is to remove absolutely all dirt and dust from the surface. The next step is to seal the subfloor. Whether concrete or wood, paint on a layer of sealer appropriate to the surface, either wood or concrete sealer. Pick a time for this so that the floor will not be used from the point of applying sealer to laying the final tile if at all possible. Shut off any kitchen usage, for instance, and eat out for a day or two. If the floor must be used, make absolutely sure that no dust or dirt is tracked onto it, leave shoes in the next room. Any dust or dirt will affect the adhesive properties of the tile and can often lead to early failure of the self-adhesive vinyl tile, letting it move or completely peel off. Keep the subfloor clean at all times. One of the advantages of the homeowner who lays their own flooring is that they can design patterns and designs into it. Perhaps a basic white floor with a border of red tiles, and maybe a large red square in the center. 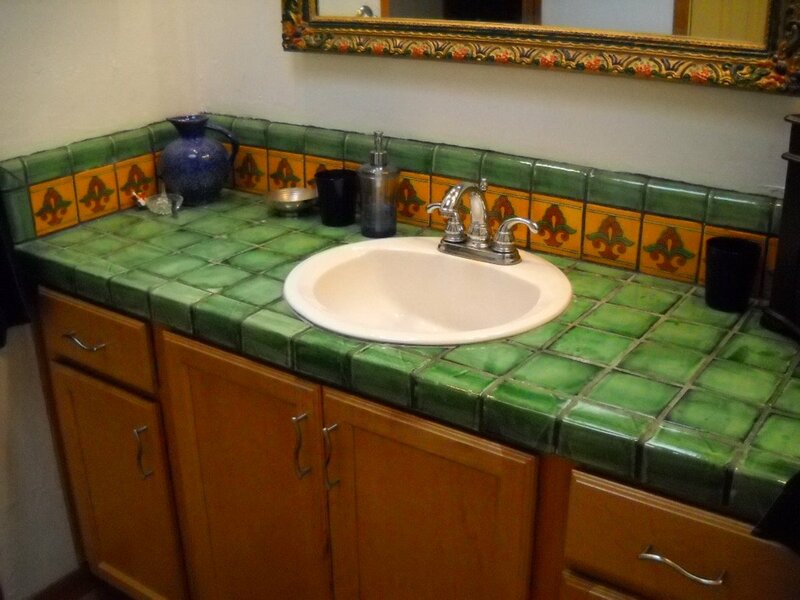 Options are virtually unlimited, although it is best if only full pieces of tile are used and patterns requiring small cut pieces of tile are discarded. Graph paper and crayons can help here to design a patterned floor. Let your imagination run, and see what it comes up with! Even a plain Jane floor with the tile of all one design and color needs to be laid out properly, however. Begin by finding the center of the room; measure the width of the room and divide by two, then mark the floor, and double check by measuring from the mark to each wall. The object here is to make sure that the edge tiles are at least one half a tile in width - most tiles are 12" square, so the edge tile needs to be at least 6" wide. The floor is 15' and 5", or a total 185" wide. Half of that is 92 ½", or 7 full tiles plus one tile cut to 8 ½" wide. As 8 ½" is more than six inches this is acceptable; mark the other end of the room the same distance and draw a line, either by pencil or chalk line the length of the room. The floor is 16' and 5", or a total of 197". Half of that is 98 ½", or 8 full tiles plus one tile cut to 2 ½" wide. The last tile is less than 6" and is therefore unacceptable. The solution is to move the mark ½ tile, or 6", to one side and remark the floor. The measurements to the walls are now 92 ½" on one side (7 tiles plus one at 8 ½") and 104 ½" (8 tiles plus one at 8 ½"). The total width is still 197," and the cut tiles are both 8 ½" wide, which is acceptable. Mark both ends of the room at this measurement and make a line between marks. 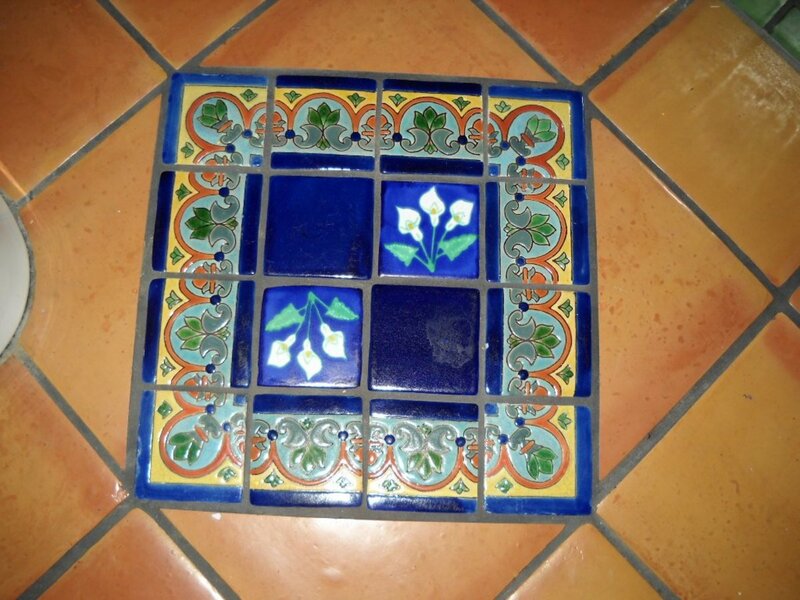 Note that when we made the new mark by moving the original one ½ of a tile, it was not dependent on our measurements; it will always be ½ of a tile. Different sizes of tiles require slightly different calculations, but the result is still a requirement that edge tiles be no less than ½ of a tile and the same procedure is still carried out. Alternatively to calculations, once the center is found, tiles can be laid across the floor without sticking them down, and the distance from the last tile to the wall checked. If less than the minimum, move the first tile ½ of a tile and try again. Repeat the process in the other direction so that two lines are drawn on the floor, with the point they cross either at the center of the room or close to it. A good suggestion is to make these lines before the sealer applied in the preceding section is applied as the lines are much more permanent that way. If a chalk line is used, gently blow away the extra chalk dust before either sealing or laying tile. Most of the self-stick style of vinyl tile flooring has an arrow printed on the back side of it; pick a direction and make sure that when applied all the arrows will be pointing in the same direction. Tiles that have the arrow pointing in a different direction are usually obvious in the finished floor as the printing process used on the tiles is directional. Starting in the center of the room where the two lines cross each other, peel the back off on one tile and, carefully lining up 2 of the edges of the tile with the marks made, lay it on the floor, pressing it down with either a small rubber roller or the heel of your hand. This first tile is critical; make sure that it is just touching the marks in both directions. If it is laid crooked the entire floor will be crooked, so take a little extra care with this one. Working in just one quadrant of the floor at one time continue to lay tiles until the edge of the floor is reached. It is a good idea to use a straight edge, laying the straight edge along both the last tile and the one being laid to make sure they are perfectly aligned. It is very easy to lay the tiles just barely to one side of where they should be, and that small error can grow to something that is quite visible in the finished floor. Make sure that the edge of each tile lines up with the prior one. The last tile against the wall will almost certainly need cut - only a very lucky person finds a room that accepts nothing but full tiles. Lay a second tile exactly on top of the one closest to the wall, and a third tile of top of that one, except going clear to the wall. Pull the third tile back just a little (1/8" perhaps) and mark the second tile at the edge of the third one. Cut the second tile using either a tile cutter or a razor knife and straight edge. An excellent straight edge for this is an 18" steel ruler; available at most office supply houses. It makes a good straight edge, can be used for measurements and is still useful after the job is done. Holes for heating registers and such will have to be cut. Remove the register cover first, and cut the hole in the tile either using careful measurements or by sticking the whole tile in place and cutting through it into the register hole. The method requiring measurements is preferable as if the tile is laid first and the knife slips and damages a tile already in place it will be difficult to remove, while if the measurements are inaccurate a single tile and a few minutes are all that is lost. If successful, though, the second method is far easier. Door jambs will also need cut; it is far preferable to cut off the bottom ¼" of the door molding and slide the new vinyl tile under it than to try to cut exactly around the odd shapes of most moldings. This is not difficult; an ordinary hand saw is used to cut the molding while it is in place. Care must be taken not to scratch walls or baseboard, but such scratches can be repaired with wood putty and a little paint if necessary. Make sure that small tile cuttings and slivers are not left on the floor to lay the next tile on. A good practice is to do all cutting on a piece of scrap plywood on another floor. Any such small pieces will result in an unsatisfactory job as the resulting protrusion can easily be seen and felt and will likely crack the new tile over time. Have a small trash can nearby for small pieces of tile and the paper backing from each piece. Keep the work area absolutely clean. The shoe molding removed in the preparation step needs to be re-installed, or if new shoe is to be used it needs stained or painted before installation. 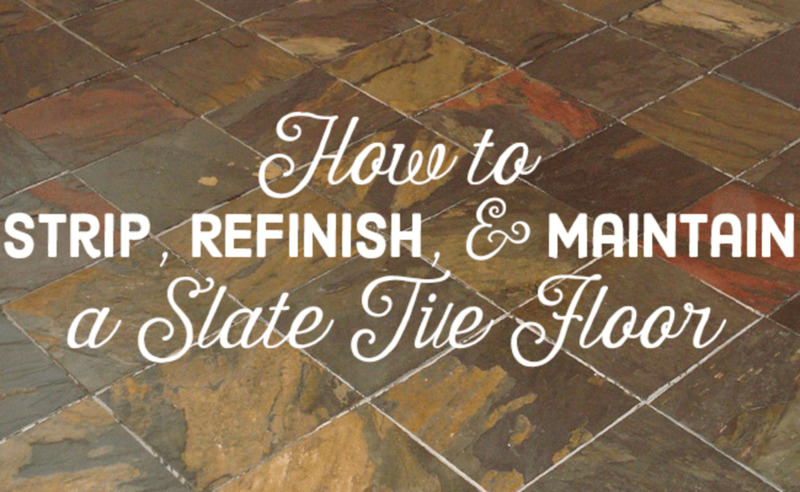 Clean up the cut tiles, save any unused tiles for any future repairs, and you're through! Congratulations on a new, beautiful floor. 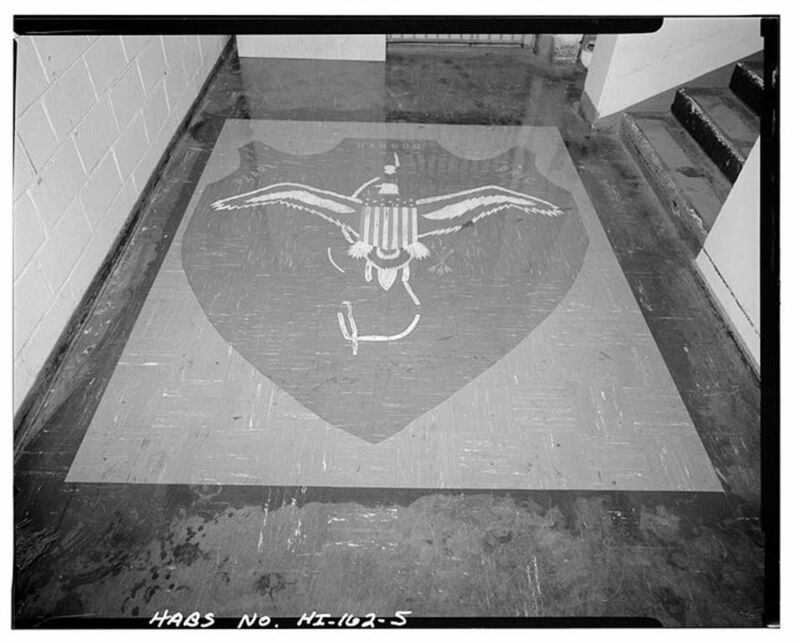 Vinyl tile wasn't so difficult after all, was it? A little work and time and you have a new floor you can be proud of. 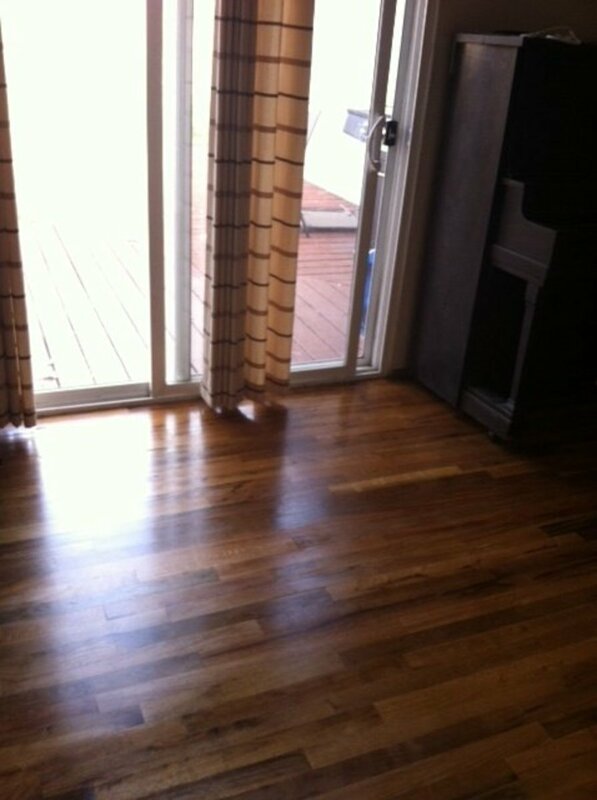 After a new vinyl floor, how about some hardwood flooring? The engineered hardwood flooring, while a little more difficult than self-adhesive vinyl tile flooring, isn't impossible either and can really enhance your home. A few simple tools, a little work, and wonders can happen in your own home. It can be amazing what you can accomplish if you learn to do your own home improvement projects. Do I lay my tile all in the same direction if it has a grouted pattern? Look on the back of the tile. If there is an arrow there, keep them all pointing the same direction. If not, choose random corrections for each tile. I really like the self adhesive vinyl tiles. They are inexpensive, very easy to apply and have a good life span. I would recommend them to anyone wanting a DIY vinyl floor. Great DIY flooring tips! I am always looking to try new products that have great reviews. This method will be very cost effective and great for a quick change up in any room of a house. Great hub! Thanks, Ronald. By now I've done most of the hard surface floors in my current home - carpet is next. Doing your own flooring isn't hard with modern flooring materials to work with. Great flooring tips! 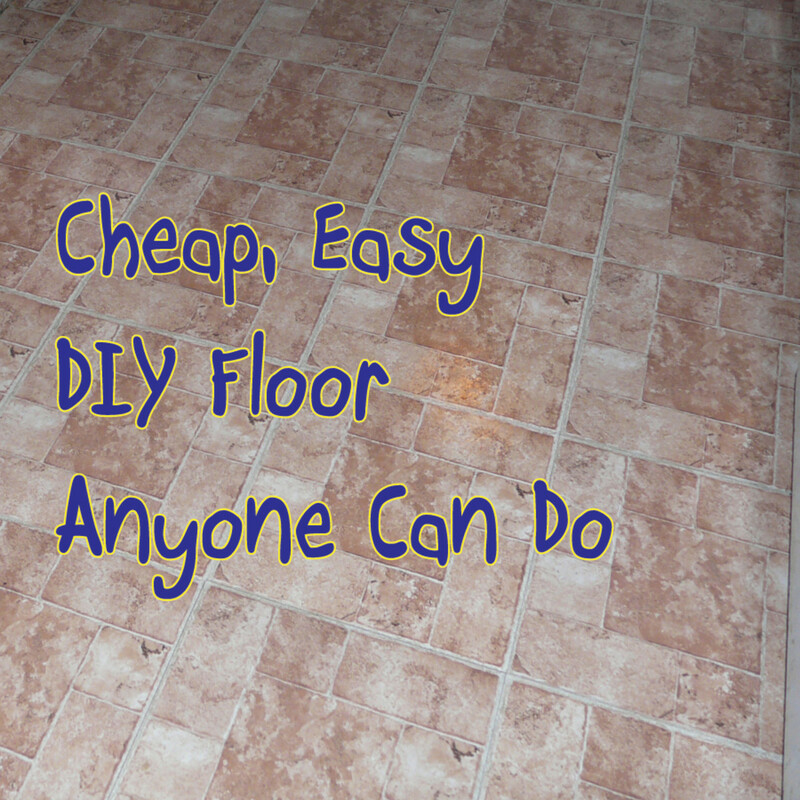 Doing your own flooring is a great way to save money and learn a great skill while doing it. Nice hub. Thanks, Steve. I've used this kind of self adhesive vinyl tile several times and the adhesion is tremendous. I've actually seen the top finish of a concrete floor come off when removing the tile - it's that good if the surface is clean! Great information for the DIY enthusiasts. I will have to keep it handy for the next project.